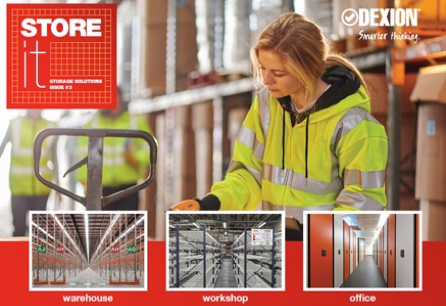 Welcome to the latest Store It catalogue, from Dexion. As you’ll see, it’s jam packed with all things Dexion. For your warehouse, for your workshop, or for your office. All in a practical, no-nonsense, here’s-the-facts way. Why call it Store It? Well, for practically anything you can think of, in here you’ll find the best way to, well, store it. And how should you use it? Flick through it, for a grand overview of our collection. Order from it. And, keep it (store it, you could say). If, by chance, something you want is not in here, please call us.